On December 1, World AIDS Day, CUPE renews its commitment to breaking down barriers for people with AIDS and HIV. Our union continues to support the global AIDS movement that struggles against discrimination and fights for improvements in public treatment programs. Poverty, violence and other forms of marginalization mean the impacts of this ongoing epidemic are not shared equally. Women, people with disabilities, and racialized and Indigenous peoples have higher rates of AIDS and HIV, and face greater barriers to treatment and vital services. This inequality is unacceptable. Thirty years ago, CUPE took a stand against the stigma and discrimination faced by people with AIDS and HIV. CUPE 4014 supported a grievance when a member was pulled from his job as a flight attendant because he had AIDS. Hans Olav Prins was taken off his job at Pacific Western Airlines even though two company doctors said he was fit to fly (Pacific Western became Canadian Airlines in 1987, which in turn was taken over by Air Canada in 2001). Hans died before the landmark arbitration decision that set a precedent protecting workers with AIDS and HIV from discrimination. His bravery and determination continue to inspire CUPE to keep up the fight against the stigma faced by workers with AIDS and HIV. CUPE has education materials and workshops for members, challenged discrimination in health plans, and tackled criminalization and racism faced by people with AIDS and HIV. On World AIDS Day, CUPE encourages its members to learn more about the AIDS movement, and to continue this important work in their locals. Participate in the UNAIDS Live life positively campaign. For World AIDS Day 2019, the United Nations is putting a spotlight on the importance of HIV testing to treatment, prevention and support services. 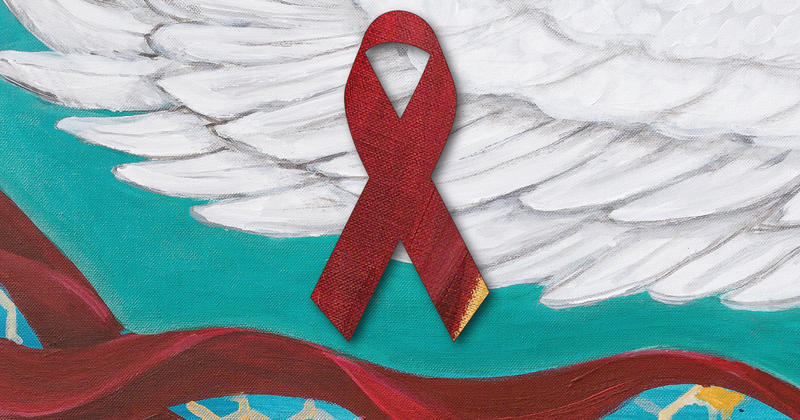 Attend an Aboriginal AIDS awareness week event in your community. The Canadian AIDS network is highlighting importance of HIV testing in Indigenous communities. Invite a discussion with members about how HIV/AIDS is a union issue. Use CUPE educational resources, including our HIV/AIDS booklet, bargaining checklist and health and safety fact sheet. Attend or host a World AIDS Day event in your community.